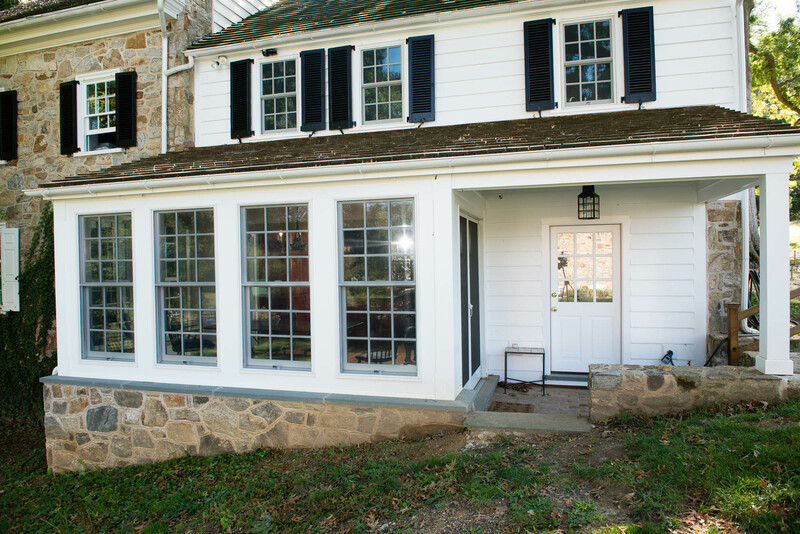 The kitchen renovation extended the front of the house with a stone-walled foundation, floor-to-ceiling windows, and a second entrance door. 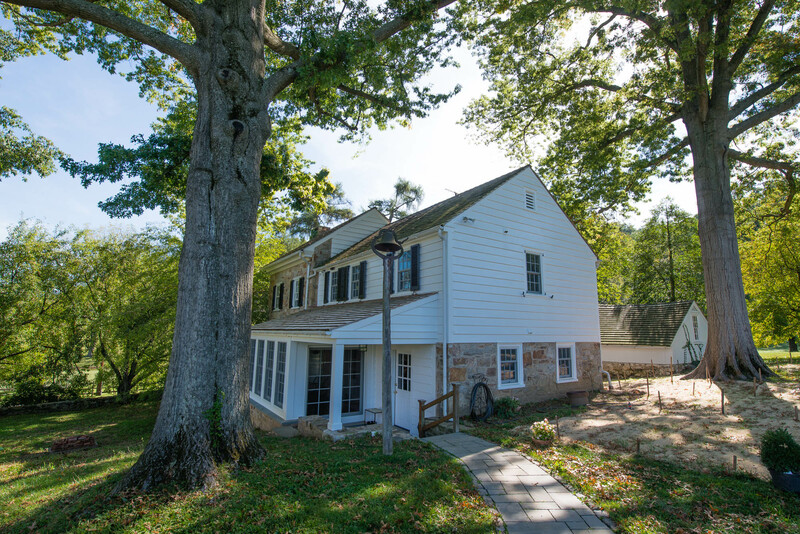 An addition to the rear of the house mirrors the front expansion and doubled the size of the kitchen. Natural light floods the informal dining area from a bank of windows. 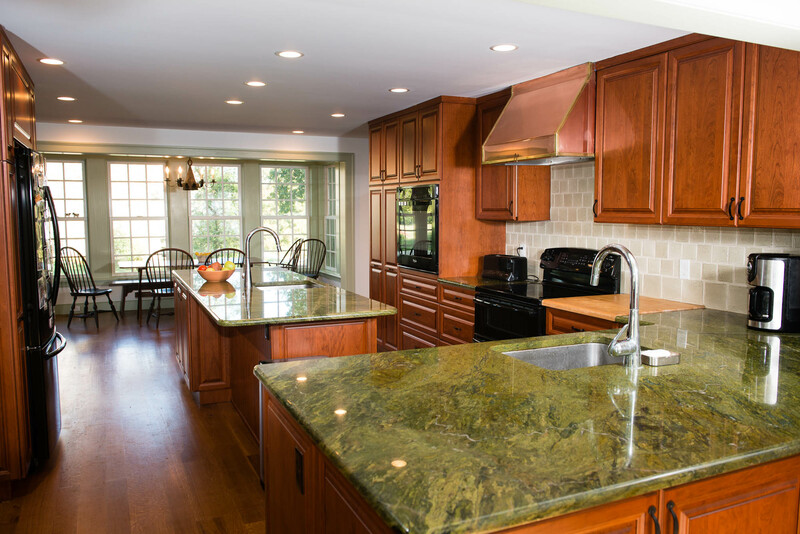 A central island in the expansive kitchen provides a second prep area as well as a gathering point for guests. 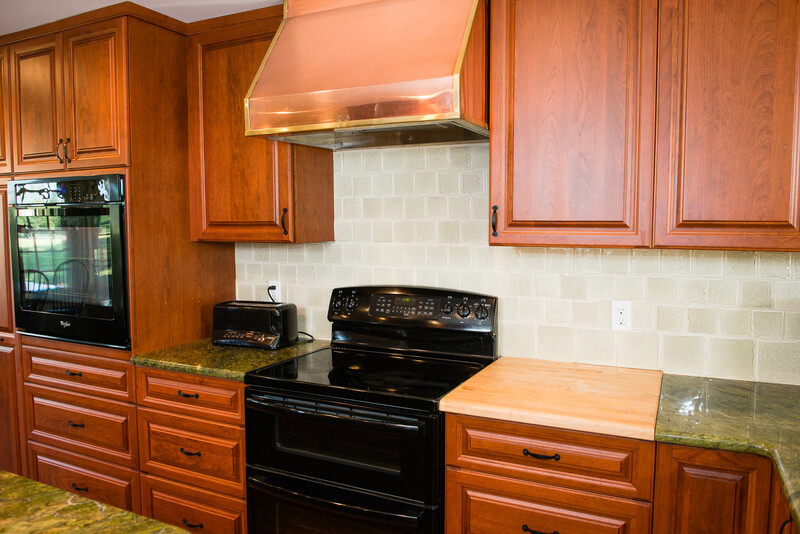 A custom-designed, hand-crafted copper hood adds unique character to the kitchen. The warm metal complements the cherry cabinets and butcher-block prep area. 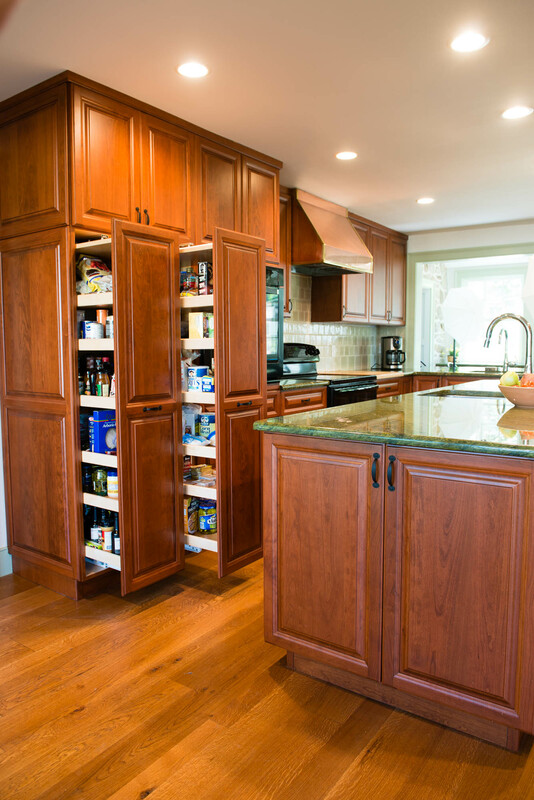 A space-saving configuration of pull-out shelving offers ample storage space for pantry items. 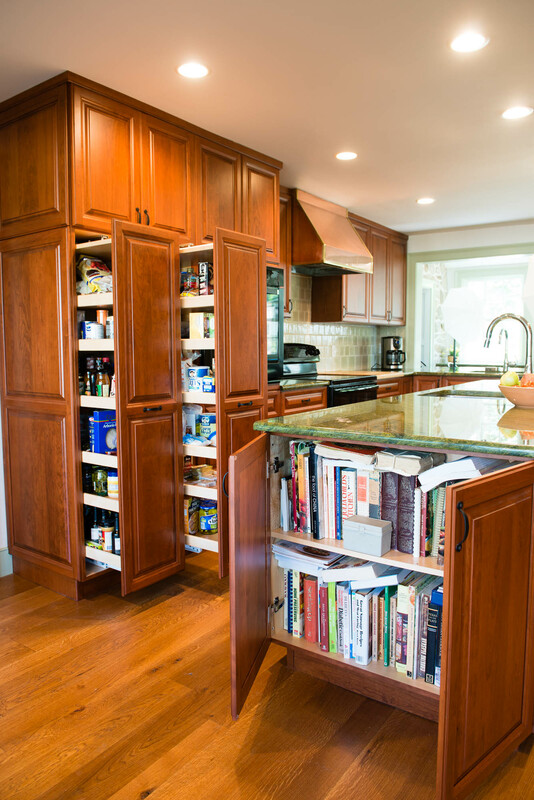 Additional cabinet storage under the island provides a home for the owner’s collection of cookbooks. A custom-built vanity handcrafted by Bob Latta from reclaimed character-grade cherry lends a rustic touch to the clean lines of the remodeled bathroom. The bathroom renovation was completed with handicapped accessibility in mind. For easy entry, the walk-in shower was designed without a door or threshold. The shower floor tile was installed at the same height as the rest of the bathroom floor to eliminate any tripping hazard. The handicapped accessible shower features small floor tiles for extra texture.